When you imagine what a game development office looks like, you may imagine an area containing dev PCs and piled high with data. Indeed, the place where Siren 2 was made is full of development machines, at the forefront of game development. However, when you take a look around, you realise that something is quite different from the normal game development environment. This is because it is full of items, like costumes and props, like the ones you would normally see where a movie or TV show is being made. This difference is created by the team's unique method of using actors and props to take as many photos as possible, then create CG based on the photograph data, as opposed to the standard method of making everything in the game from scratching using CG. From the bloodstained Shibito clothing to the familiar outfits worn by each main character, the belts, shoes and other items, everything is stored in racks, just like the development area at a TV station. Unlike normal game creation, where most of the work is done in front of screens, the job of Siren 2's development team was quite active, including such things as photography and recording of the actors playing each character, and travelling the country to do on-site research. You can also see the personality and commitment of each staff member from what is on their desks. The desk of the director, Mr. Toyama, is simple and tidy, perhaps because he, as a heavy mobile user, works on his favourite W-ZERO3 [es]. On the other hand, the desk of Ms. Sato, in charge of background and scenario, is covered with books used for research. The mix of Junji Ito and Daijiro Morohoshi's comics, along with for some reason Heinlein's sci-fi novel "The Door into Summer," is actually the exact same state as it was in when we were there to do research for Siren Maniacs. In a way it's befitting of Ms. Sato, who is known for being a cat-lover. 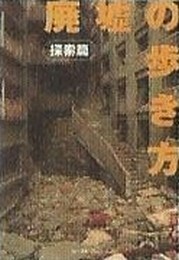 On head art director Mr. Takahashi's dead, besides a photobook of ruins, are DVDs such as "Mulholland Drive" (David Lynch) and "Suspiria" (Dario Argento). Maybe he was using them for reference for the art?